our company. My business partner Dennis Chupa and I started Dimpled Rock in 2007. Quality, Flexibility, and Customer Service. I look forward to creating great images of your club soon. 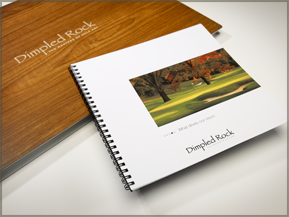 Dimpled Rock dedicates itself to creating the finest images of golf, while making this exclusive photographic business-building process easy and profitable for our partners. Our ability to capture the essence of a hole is what drives our visioin. Our need to exceed expecations is what sets us apart. Started in the summer of 2007, Dimpled Rock has grown to well over 150 Club Partners from across the country. We continue to grow in all facets of our program as a full service provider. Our programs and services fulfill the needs of clubs on a year round basis with more and more salable concepts each season. Dimpled Rock has created a fine art offering that has been adopted by many of the country's most prestigious clubs. 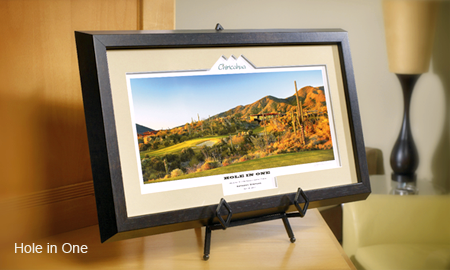 Our goal has always been to create the highest quality imagery of golf. This opens the door for spectacular awards, tee gifts, and Limited Edition Fine Art. 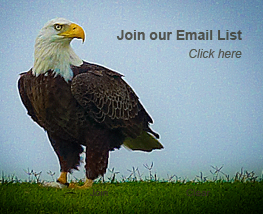 Our partner clubs now have the ability to enhance their image by using the images for their Website, Marketing Materials, and Membership Promotions. Finally, the program is designed to generate revenue for the Club or Pro Shop. Our policy is simple, no huge inventory and flexibility to create something special for every club and every member. We do this all while maintaining the best customer service in the industry. Please note that we do not sell direct to members, all sales must be through your club. Dimpled Rock simplifies the entire process from start to finish. What happens once you commit to the program? The shoot process is virtually invisible, we never disrupt play or club events. Gary will make contact to discuss scheduling and key features that you wish to have included in your portfolio. The course is photographed. This will require a minimum of two, four hour sessions at Sunrise and Sunset. The edit process takes place. The Portfolio, Museum Signature sample and Hole in One Sample are prepared and ship within three weeks of the shoot date. Once the Portfolio, Frame Kit and samples are delivered we will contact you to discuss merchandising the program and help you with the ordering system. The online Gallery will be added to our website and the link will be emailed to you.